AFTER trading in the Nantwich area for 25 years, estate agents Baker Wynne and Wilson of Pepper Street donated £25,000 to local voluntary groups in 2017.
snowdrops, wild garlic and snakes head fritillaries. These were planted in Nantwich Riverside with help from Weaver Primary School, Pear Tree Primary School, Millfields Primary School and St Anne's Catholic Primary School, all in Nantwich, together with the Millfields (7th South West Cheshire) Scouts and Cubs. 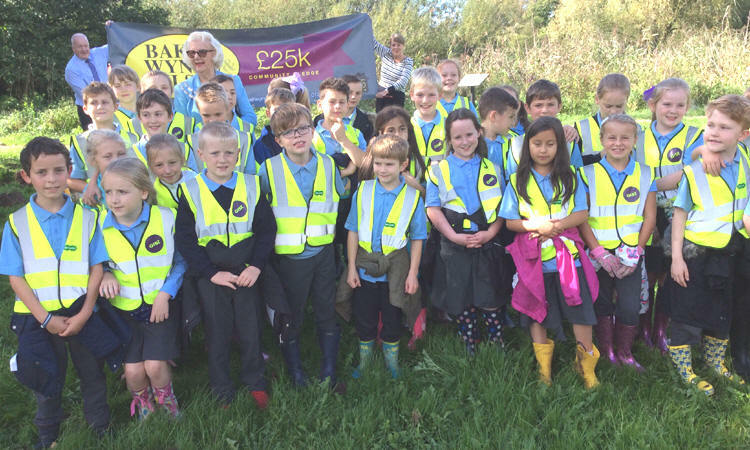 Weaver Primary School were the first group to plant wild flower bulbs - 500 bluebells. The pupils are pictured with four members of staff and Jeff Stubbs (second left) who is Chairman of Greenspaces South Cheshire CIC. 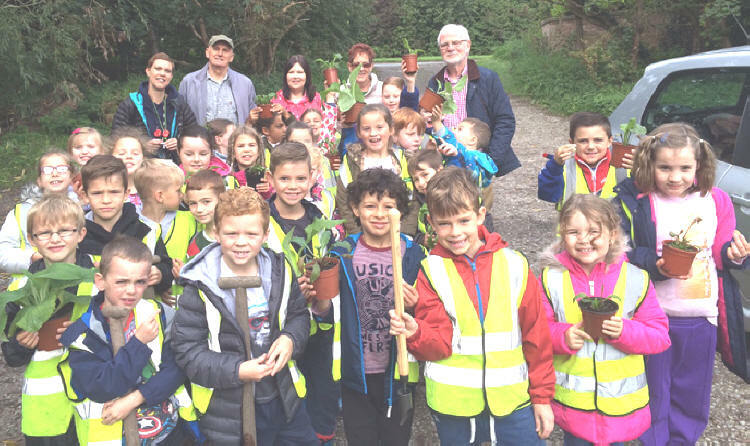 All pictures were supplied by Doug Butterill, Company Secretary of Greenspaces South Cheshire CIC, who went with the pupils to the chosen part of the Riverside for the bulb planting. 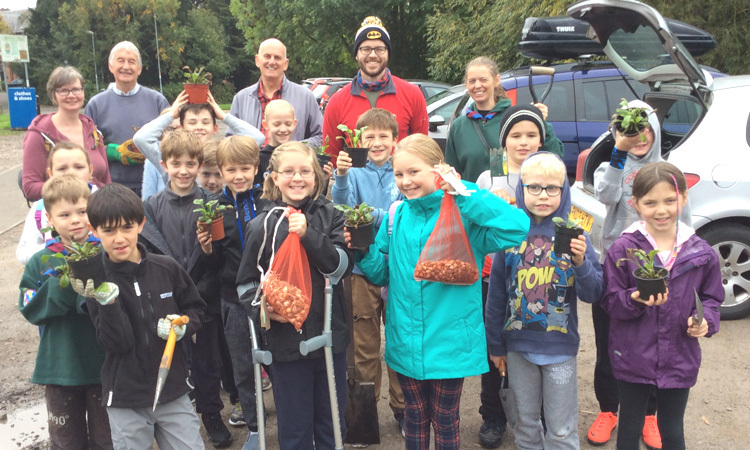 Members of Millfields Scouts and Cubs group all set to plant their snowdrops and wild daffodil bulbs. The image includes Assistant Cub Scout Leader, Cheryl Hamlyn (right, with spade) and Jeff Stubbs (Chairman of Greenspaces South Cheshire CIC, centre).